I´ve been postponing blog writing for a couple of weeks now. Thesis revisions, organizing and attending house parties, sangría preparing, cooking, eating loads of Polish food, and other Christmas-like obligations have been occupying most of my waking hours lately. 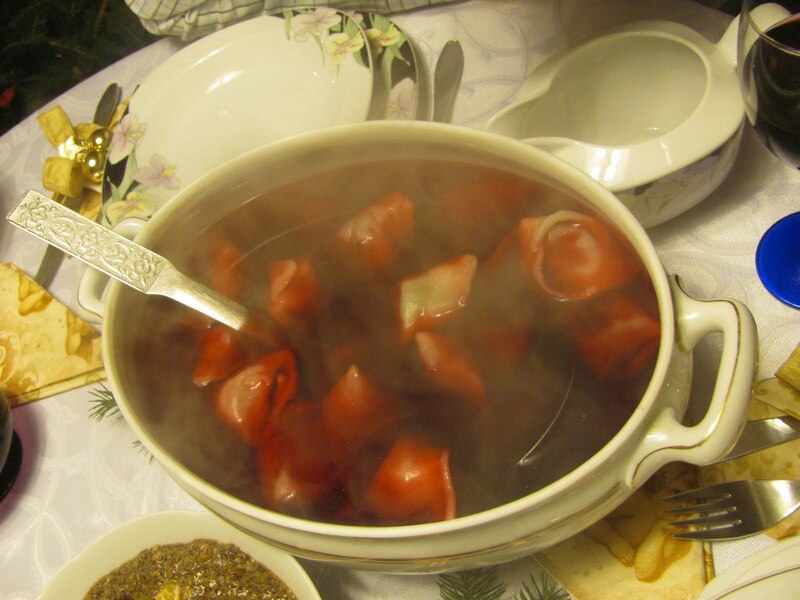 Today anyhow marks the start of a fresh and exciting new year, and because I owe some of you a story about how Polish Christmases are spent, I finally got myself to writing it. Another reason why my Polish life became even more awesome is because of my new BFF. He’s got small green eyes, a warm smile, a huge and tender heart, and the most soulful taste in music ever. Plus, as an added value, he also cooks senegalese finger food, plays guitar, and can rap pretty well. 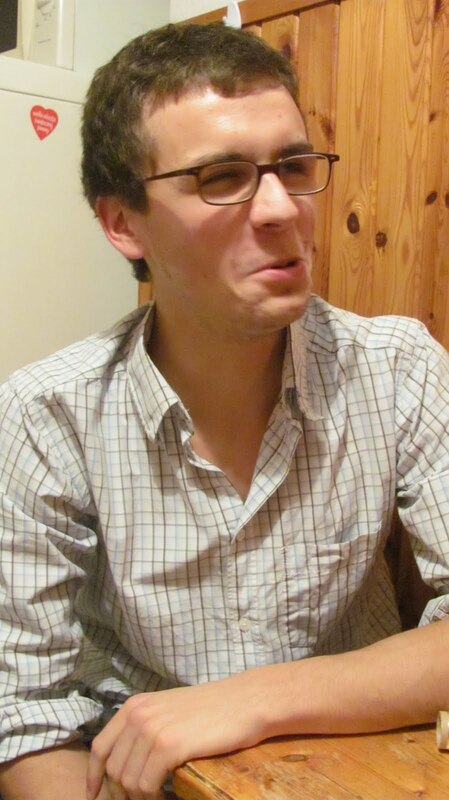 His name is Adam and he’s also my flat mate, together with his girlfriend, who’s in France and I still haven’t met. Adam and I clicked since the first second we sat down to talk, and although we’ve only known each other for a month or so, it seems like a lot longer. My Polish Christmas experience, therefore, was thanks to him and his great family: Mama Bogna, Papa Edward, and greatest sister in the world, who came from upstate NY to spend 6 weeks here, Ania. 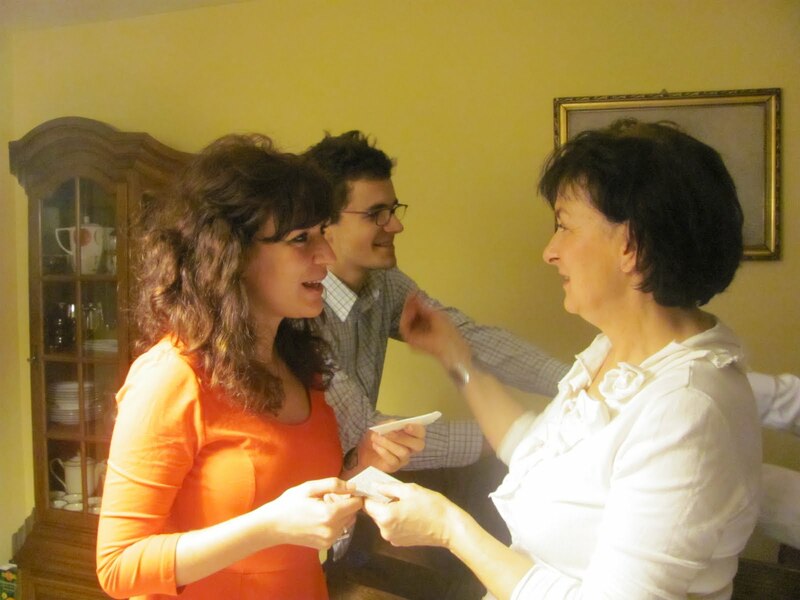 Ania, Adam, and I spent Christmas with their mother and stepdad in a small city called Leszno, where they live. An almost two hour train ride from Wrocław later and we arrived to foggy, snow-less Leszno, where we’d spend the next couple of days in Bogna and Edward’s apartment. A perfectly decorated dinner table greeted us and would be the center of the celebrations during the next half a week or so. 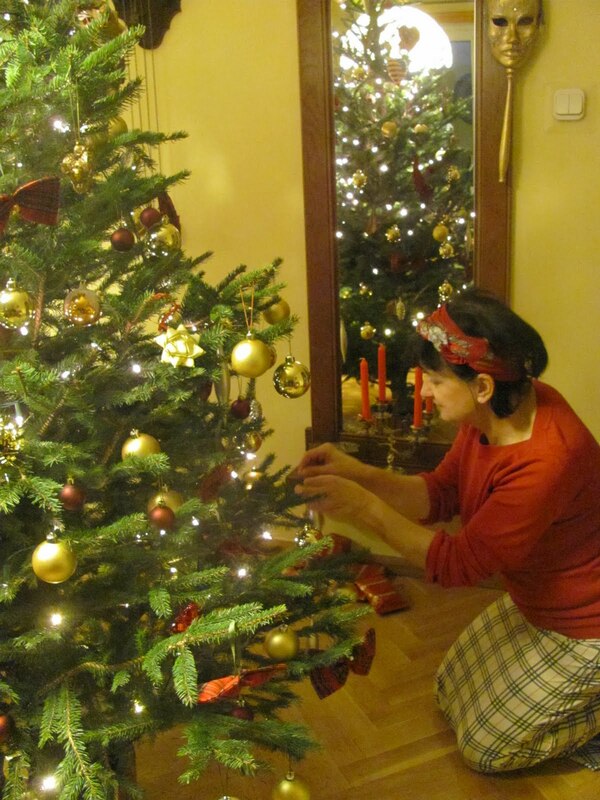 The first activity on the agenda (before eating and more eating) was decorating the tree, which Poles, unlike Puerto Ricans, usually do a couple of days before Christmas. On Christmas Eve the cooking process began early. 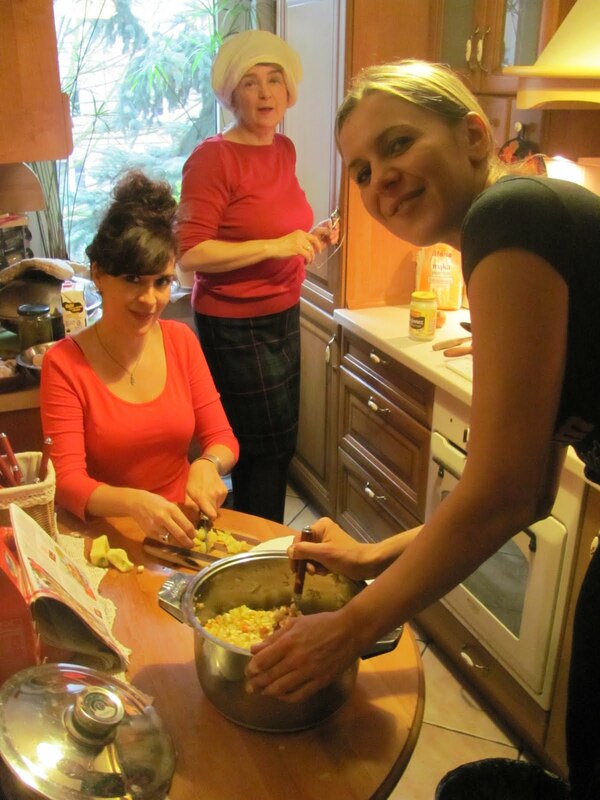 Although most of us were still in pj´s, I decided to dress up a bit and hit the kitchen to learn some new recipes. 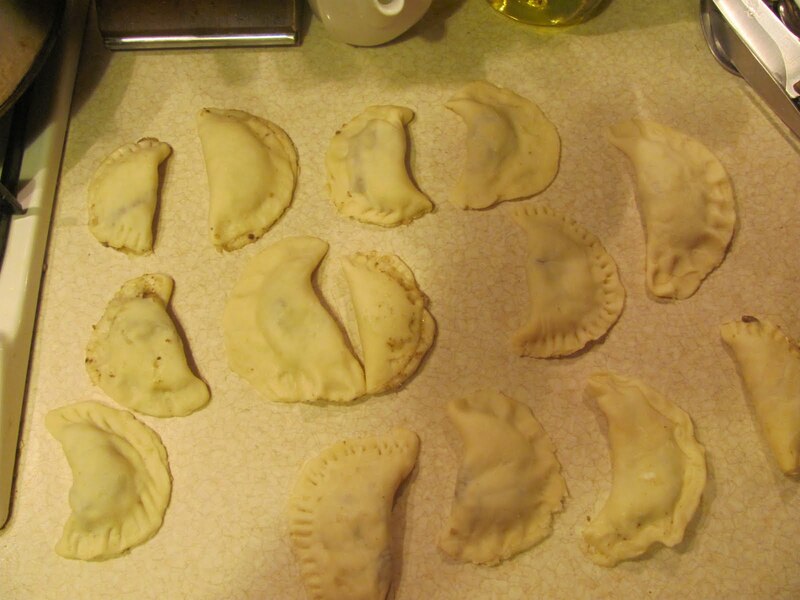 Ania and I helped Bogna make some salad and prepare pierogis (Polish dumplings) stuffed with cabbage (ever present in Polish cuisine). 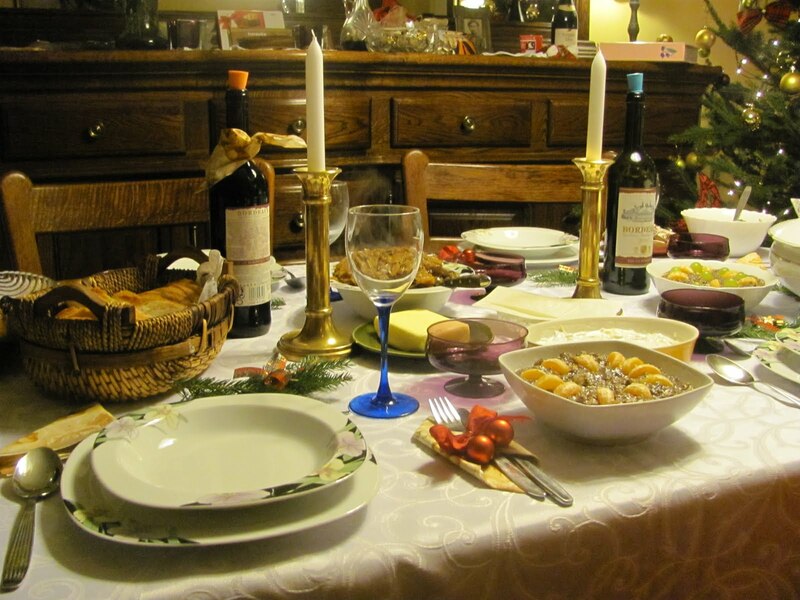 Another common tradition that Poles practice during Christmas lunch took place shortly after. 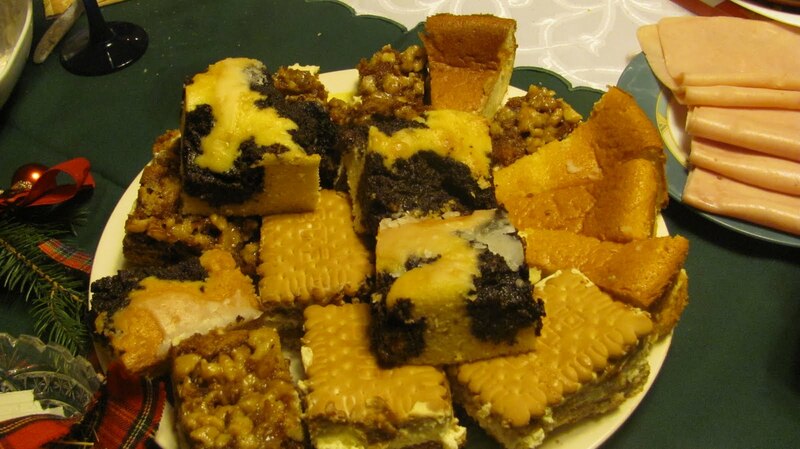 To prepare for it, someone from the family must get communion bread from church and before eating and after saying a prayer, each member of the family cuts a piece of the bread and gives a wish to each person in a circle until everyone has been wished and blessed upon. We also heard many Christmas carols in Polish, English, and even Puerto Rican ones. Everyone received a decent amount of hugs and kisses , unexpected presents, and even engaged in salsa dancing! Thanks to Adam, Ania, Bogna and Edward for making this time so special in my home away from home! Merry Christmas, Wesołych Świąt, Feliz Navidad, and a great start of 2012 for everyone! Very positive!!! I like this! !